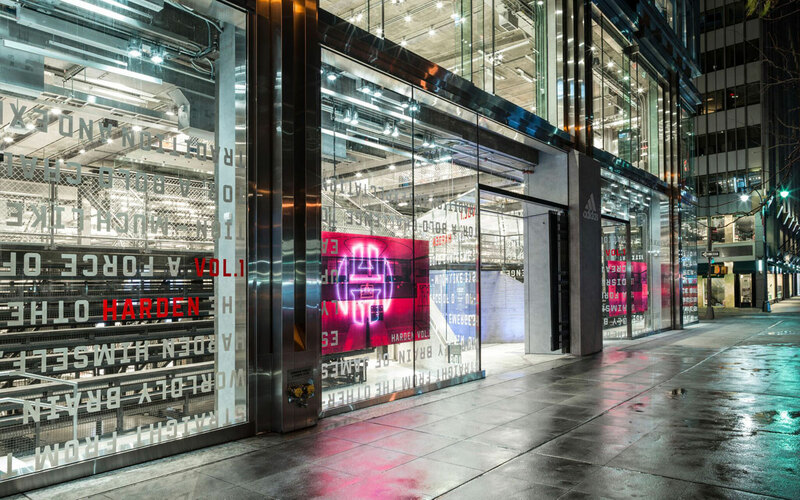 The Adidas flagship store in New York City is the largest store for the brand around the entire globe. 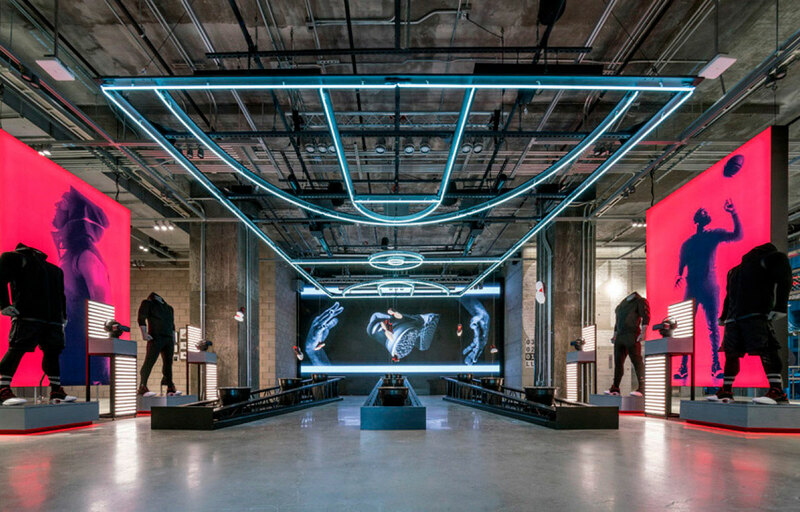 Architects at Gensler were tasked with designing a flagship that celebrated creativity and sport, two concepts that helped shape Adidas NYC. The artistic vision for the flagship was manifested in an open stadium concept, which captured essence of sports culture and the spirit of competition. A concrete tunnel entrance not unlike the gateway to a stadium welcomes customers, and opens into an open concept that feels very much like a training center. The store is equipped with large screens used for watching games, locker room-themed dressing rooms, and track and field areas where products are tested. 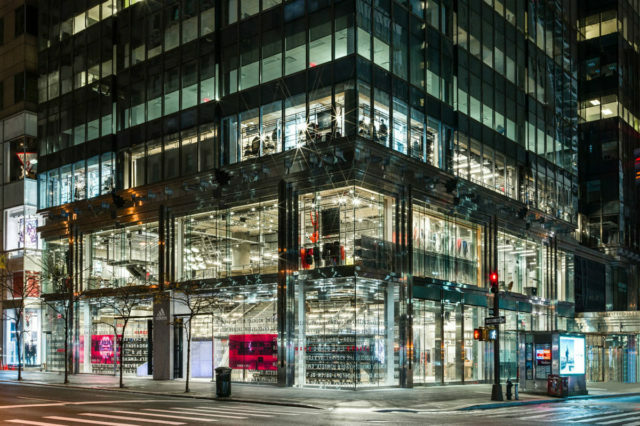 The entire architectural experience of the flagship store is a culmination of the thrill of the sport, and the maelstrom of emotions that are typically associated with sports culture. Pure + Freeform aluminum panels were also incorporated in the project, its Urban Cement finish seamlessly blending in with the store’s sports stadium theme. The panels, which employ Lumiflon FEVE resin technology, offer longevity and durability. Lumiflon FEVE resin protects architectural surfaces from UV radiation, water, salt, and other elemental deterrents that compromise the structural integrity of a coating, thereby eliminating the need to constantly recoat.